HTML forms are an essential part of every data-driven web application. The user is able to enter data by using input elements of forms. Therefore a form does not only present data entry fields in the right order but also needs to offer further guidance. 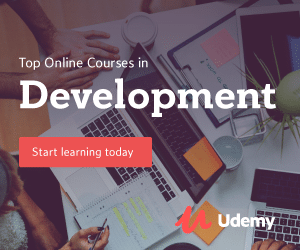 Any modern web form will deliver immediate feedback, so that the user is able to see if any input errors occurred before finally submitting the data. 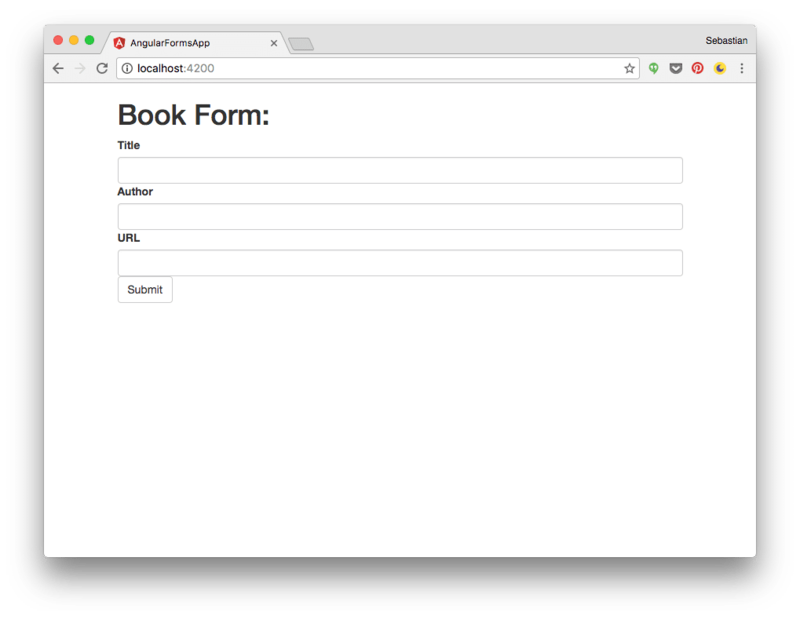 In this tutorial you will learn how to start building forms using the Angular 2 framework. Angular 2 offers a lot of building blocks which makes implementing forms straight forward. 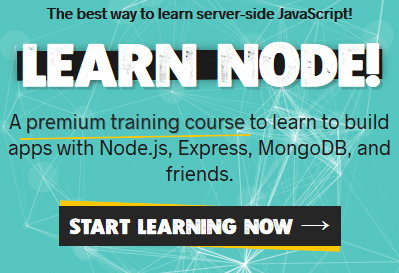 In the following you’ll find a step-by-step introduction of how to set-up a new initial Angular 2 application, import the Angular 2 forms module and implement a simple data entry form. The easiest way to get started with a new initial Angular 2 project is to use Angular 2 CLI to setup a new project. The TypeScript compiler generates a public field for each public constructor parameter and assigns the parameter’s value to that field automatically when we create new books. With this import statement we’re importing FormsModule from the @angular/forms library. Second, we’re attaching FormsModule to the imports array of @NgModule. 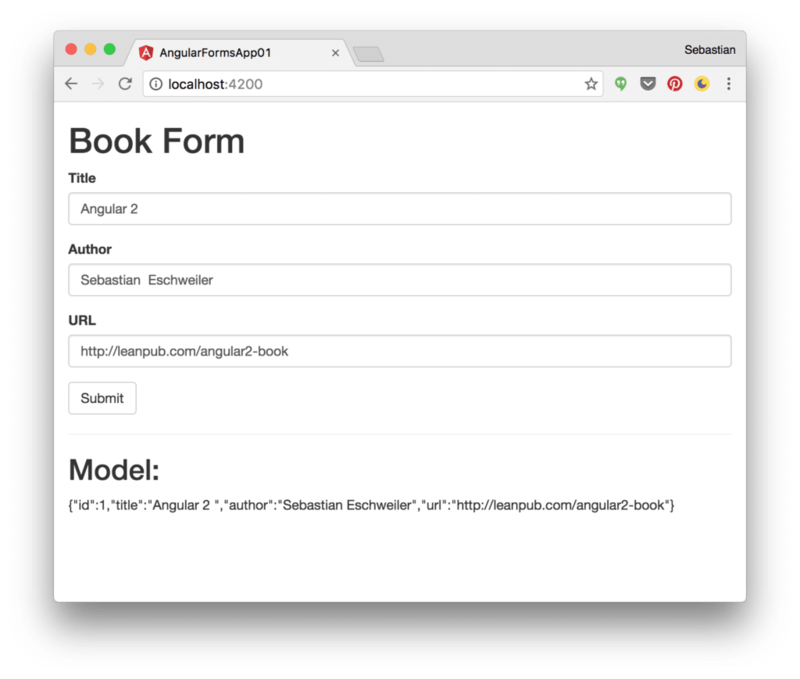 Herewith we’re making sure the all of Angular’s form features are available to components belonging to AppModule. The scaffolding process does not only generate the four files but also imports BookFormComponent in AppModule. If you take a look into app.module.ts you’ll see that two things have been added. To display the form in the browser we need to include the BookFormComponent in the template of AppComponent. But before completing that step, first open book-form.component.ts and set the selector property to string value ‘book-form’. Now that the form template is ready and the form is displayed in the browser we need to find a way to access the form data. 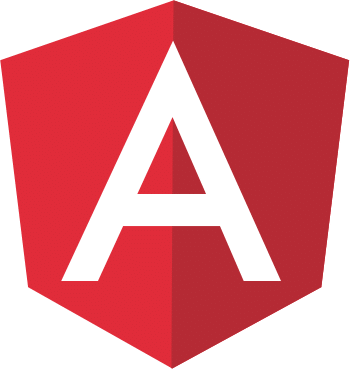 Angular 2 offers the concept of two-way data binding which helps us to solve that problem. Notice that, together with ngModel, we also added the name attribute to each element. We’re assinging a unique string value to this attribute. Defining a name attribute is a requirement when using [(ngModel)] in combination with a form. Why is this a requirement? For each input element with a name attribute assigned Angular 2 created internally a FormControl. Furthermore these FormControls are registered with an NgForm directive which is automatically created for each <form> element in the template code. Each FormControl is registered under the name we assigned to the name attribute. With this output available we’re able to check that the model binding is fully working. Each change of the input field values which is done by the user is directly reflected in the model output below. So we’re able to read out form values by accessing properties of our model object. Angular 2 has great form features and makes developing rich HTML forms very easy. 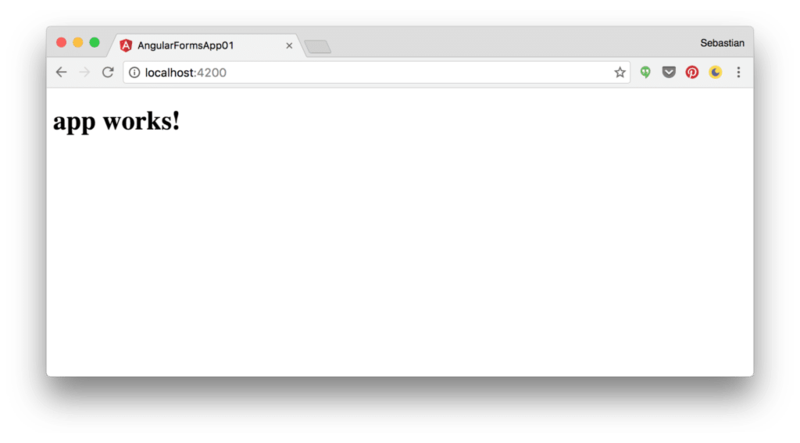 In this post you’ve learnt how to get started with Angular 2 forms. 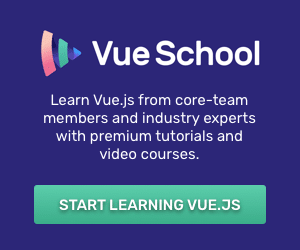 This is the beginning of a series of tutorials focusing on Angular 2 forms. In next part we’ll dive deeper into the topic and extend the form to also include validation logic with direct and instant user feedback. Stay tuned!